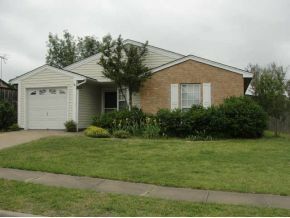 Great Starter Home Within Walking Distance To Turner Soccer Fields And Bill Allen Park. Park Features Trails, Basketball Court, Frisbee Golf And Playground. Charming Home Boasts Laminate, Remodeled Bathroom With Jetted Tub, 8 Foot Fence, Vinyl Siding, Newer Windows, AC Unit, Built In Shelves, Large Backyard, Smooth Surface Stove, Screen Door, Ceiling Fans And Covered Patio.